Ruling Party national political commissar, Saviour Kasukuwere. Six out of 10 ruling Zanu-PF’s provinces have unanimously passed a vote of no confidence in the party’s national political commissar Cde Saviour Kasukuwere, calling for his ouster from both party and Government positions. He is accused of, among other things, plotting to oust President Mugabe by creating parallel structures and corruption. Mashonaland West Province became the latest province to pass a vote of no confidence on Cde Kasukuwere yesterday, joining five other provinces; Harare, Midlands, Mashonaland Central, Masvingo and Bulawayo. “Zanu-PF Mashonaland West provincial executive council unanimously endorses the ouster of Cde Saviour Kasukuwere from all party and Government activities,” reads a document prepared soon after the Provincial Executive Committee (PEC) meeting. According to a petition signed by 38 out of 50 PEC members after a meeting held in Chinhoyi, Cde Kasukuwere is accused of plotting to depose President Mugabe, who is the President and First Secretary of Zanu-PF, by tampering with party structures throughout the country for his personal gain. 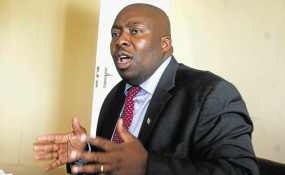 Cde Kasukuwere who is also Minister of Local Government, Public Works and National Housing, is also accused of corruption at both party and Government levels by demanding bribes in exchange for land allocations. He also stands accused of imposing a candidate for the National Assembly seat in Norton resulting in Zanu-PF losing the by-election to an Independent candidate. In Mashonaland Central, the party also wants Cde Kasukuwere”s half-brother and provincial chairman Cde Dickson Mafios kicked out. Cde Kasukuwere is also accused of abetting former treasurer of the Women’s League Sarah Mahoka and former deputy secretary Eunice Sandi Moyo to undermine the First Lady and secretary for Women Affairs, as well as destabilising the League’s structures in Mashonaland West Province. The province also alleges that Cde Kasukuwere distributed land in the province to his cronies such as Cde Mahoka, aborting prior commitments to youths programmes. “Now, therefore, we the undersigned members of the provincial executive council willingly and voluntarily appended our signatures in support of the above mentioned ouster of Cde Saviour Kasukuwere,” reads part of the petition. 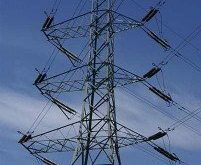 In a letter addressed to the party’s national secretary for administration Cde Ignatius Chombo, the province said it was supposed to hold its Provincial Coordinating Committee soon to endorse the decision. However, since the party had already received overwhelming support of 38 out of 50 executive committee members supporting the ouster of Cde Kasukuwere, the PCC meeting would just be an academic exercise. The Zanu-PF Harare provincial executive council on Saturday also passed a no-confidence vote on Cde Kasukuwere and Harare provincial commissar Cde Shadreck Mashayamombe in a day of high drama that witnessed skirmishes at the ruling party’s provincial headquarters. Three people sustained head injuries and broken arms as party supporters sympathetic to Cdes Mashayamombe and, Cde George Mashavave (provincial secretary for administration) ran amok in the city. Cde Mashavave was among the provincial leaders who called for the ouster of Cdes Kasukuwere and Mashayamombe, respectively. Police spokesperson Chief Superintendent Paul Nyathi confirmed the skirmishes. Our sister paper, The Sunday Mail reports that police briefly detained Cde Mashayamombe for allegedly instigating the disturbances. 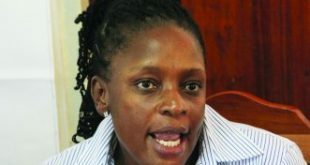 On the same day, 28 Harare provincial executive members appended their signatures to a petition calling for the dismissal of Cdes Kasukuwere and Mashayamombe over a raft of allegations, including plotting to topple President Mugabe and insulting First Lady and Women’s League Secretary Amai Grace Mugabe. The Zanu-PF constitution says a motion of no-confidence can be passed by a simple majority of an organ’s members. The PEC has 50 members. 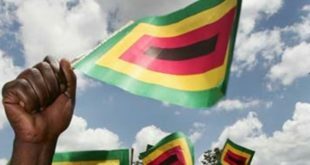 The Harare and Mashonaland West provinces’ petition will be submitted to the Zanu-PF national leadership in keeping with the party’s disciplinary code. 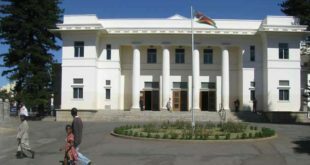 Announcing the no-confidence vote, provincial secretary for administration Cde Mashavave said the petition was in accordance with Article 29 (section 251) of Zanu-PF’s constitution.